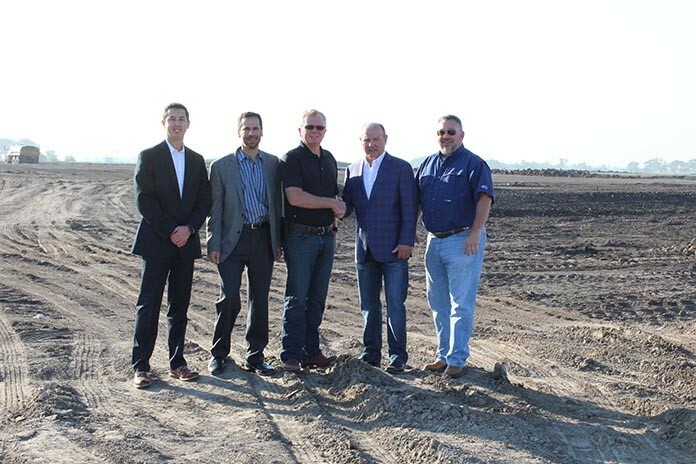 Walt Shafer, Project Leader for Lincoln Premium Poultry and Larry Campbell, VP of Sales for Marel Poultry shake hands on the largest single order to date for Marel. Also pictured, Ray Collison, Matt Brass and Scott Thompson. 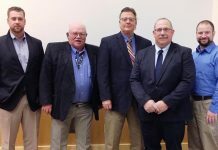 Over the last 3 years, the Marel Poultry Team has been working hard, together with representatives from Costco Wholesale and their newly formed poultry processing company, Lincoln Premium Poultry, on a state-of-the-art greenfield plant in Fremont Nebraska. This order marks the largest single order to date for both the North America Region and Marel as a whole. Marel, in partnership with its customers, is transforming the way food is processed by enabling our customers to deliver affordable and high quality food in a sustainable way. 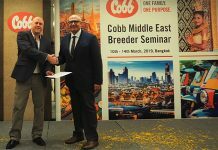 Marel Poultry has been chosen to equip Lincoln Premium Poultry with the latest technology Marel Poultry company can offer from the ATLAS live bird handling system with CAS stunning lines through scalding, defeathering, evisceration, chilling, cut-up and debone to inspection and robotic packing. The entire system will be monitored by the Innova food processing software to help achieve full traceability and raise efficiency. Costco has purchased 414 acres in Fremont and the site will hold a chicken hatchery, feed mill and processing plant. The entire supply chain will be concentrated in a 100 mile radius. The goal is to produce 2 million chickens a week, the processing plant will handle about a third of the raw and rotisserie chicken sold at Costco stores nationwide. 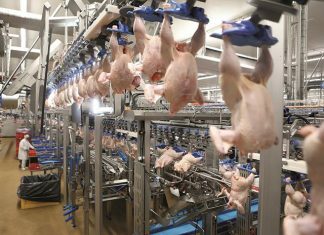 Marel Poultry will deliver the system by the end of 2018 with a start-up around April 2019.